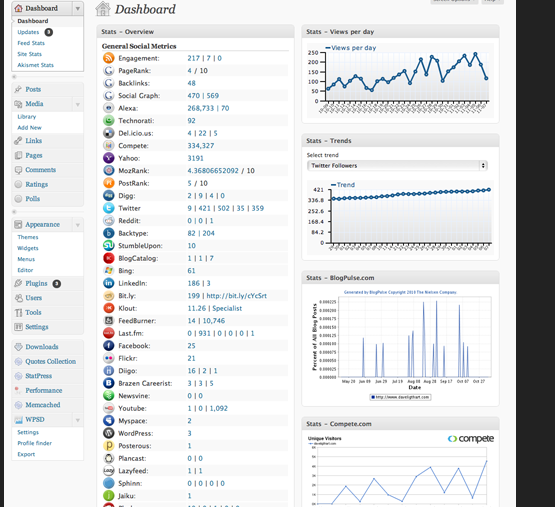 May 7th in Analytics & Statistics, Wordpress Plugins by Wordpress Jedi . Facebook Share Statistics: shows information about your posts that have been shared on Facebook. 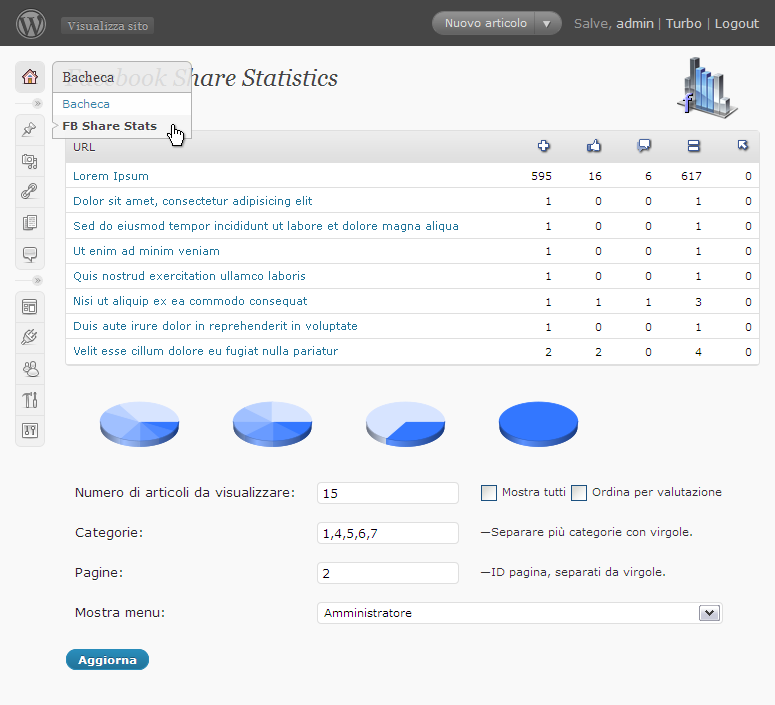 It shows likes, clicks, comments, and other useful information. Most Shared Posts: this cool plugin lets you track your top blog posts based on how well they have done in top social networking sites. 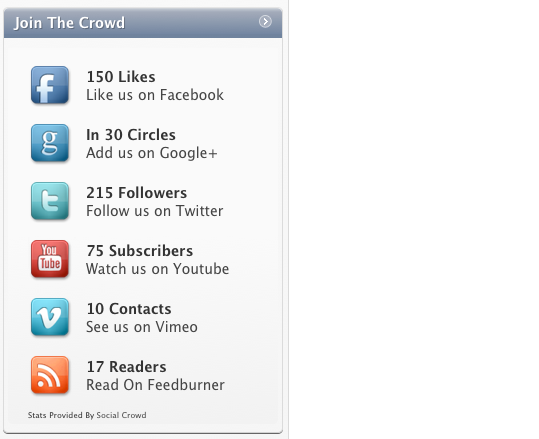 Social Crowd: a simple but sleek plugin that displays your general social stats to your visitors. It covers the number of your Facebook likes, YouTube subscribers, Twitter followers, and Google+ friends. WP-Stats-Dashboard: this cool plugin tracks over 50 social metrics and helps you make better sense of your content’s performance in the world of social media. It is a great tool when it works. 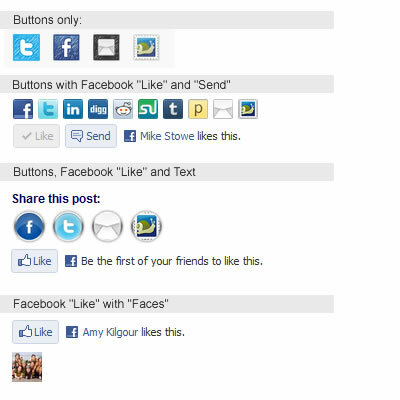 Trackable Social Share Icons: adds social buttons to your blog posts. 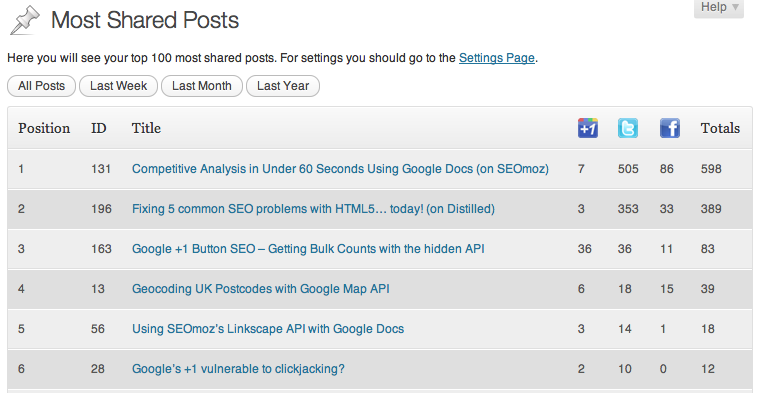 But more importantly, it works with Google Analytics to track your social stats correctly. What’s your favorite Facebook statistics plugin for WordPress?